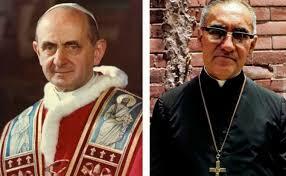 An announcement has been made as the Official Canonization of Six new Saints. The Beate Nazaria born in Spain but chose to become Bolivian is our first Saint,she asked to be buried in Oruro Bolivia where she served with the nuns she funded to miners,peasants, the elderly. The wounded from the Chaco war. Loved and venerated for living as Jesus commands. Now is time to Santify Isabel the Catholic Queen,she protected her new subjects, forbidden slavery in the New World.